Michele joined Advantage Point Solutions in 2013, with over 19 years in the Pharmaceutical Benefit Management and Specialty space. She most recently held the position of Manager, Pharmaceutical Contracting and Relations, at Armada Health Care. Prior to this, she held the position of Director of Formulary Programs in the Pharmaceutical Strategies and Solutions group at Medco Health Solutions, Inc. In this role, she was responsible for the management of Medco’s core standard formulary business, covering over sixty-two million lives. Michele managed the development, design, up-sell and execution of several strategic formulary programs to drive preferred product selection and formulary compliance resulting in increased market share, rebates and generic profitability. Michele also worked with pharmaceutical manufacturers to develop formulary pull-through programs intended to maximize the overall contracting strategy for clients and the organization. 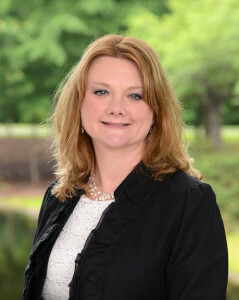 Michele joined Medco in 1994 and held various positions during her eighteen years with the organization. She began in the Account Management group and later held positions in the Corporate Inventory Group, the Generic Drug Purchasing group and the Manufacturer Rebate Billing area prior to joining the Formulary Programs team in 2005. Michele graduated from the University of Scranton with a B.S. in Chemistry/Business. She received her MBA from Montclair State University. Michele is also a Certified Pharmacy Technician (CPhT).